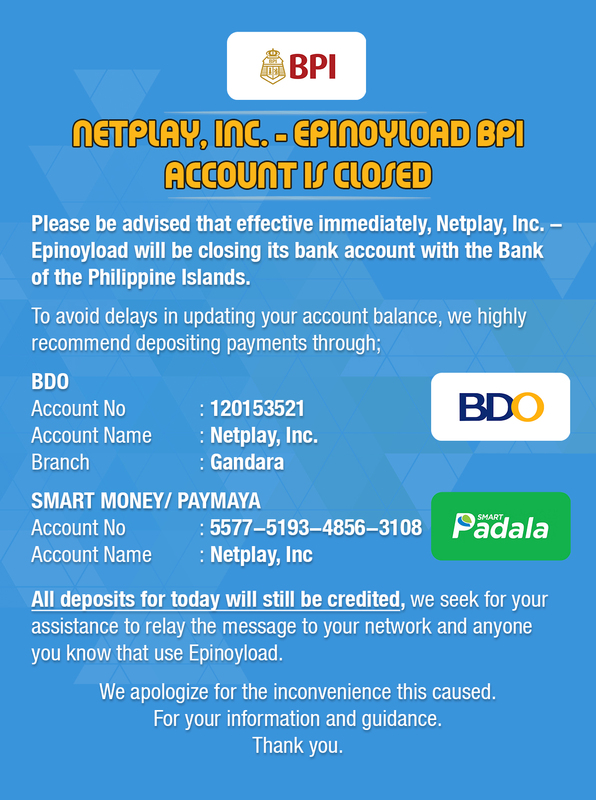 Please be advised that effective immediately, Netplay, Inc. – Epinoyload will be closing its bank account with the Bank of the Philippine Islands (BPI account number: 0141-1046-32) until further notice, due to a service charge they would like to impose on deposits made to our account through over-the-counter or online fund transfer. All deposits for today will still be credited, we seek for your assistance to relay the message to your network and anyone you know that use Epinoyload. We apologize for the inconvenience this caused. For your information and guidance. Thank you.